Next week an inquest will open in London to answer questions about one of the most baffling of all modern spy stories. 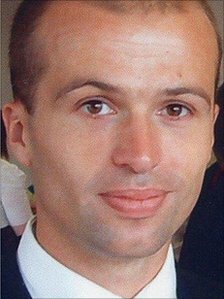 Gareth Williams was a well-liked and extremely talented young man from a small village in Anglesey, who went to work for the Secret Intelligence Service, MI6. But he died in bizarre circumstances. Gareth’s body was found locked in a hold-all at his flat in Pimlico in August 2010. The bag was padlocked from the outside and placed in his bath. A recent pre-inquest hearing heard, from a lawyer representing the Metropolitan Police, that it was “very difficult if not impossible” for Gareth to have locked himself inside the bag. Gareth’s family’s lawyer Anthony O’Toole, said that if the spy had not locked the bag himself, there was “a high probability that there was a third party present in the flat” at the time. This is a sensitive story to cover but it is one that is both of interest to the public and in the public interest. The coroner has said it has already “caused much public anxiety and concern”. Two of the main lines of inquiry being followed by the Metropolitan Police appear to have come to nothing. Early on in the investigation police issued an appeal for information about a Mediterranean couple reported to have called at Gareth’s flat. But at the recent hearing they were now described as a “red herring”. In addition, DNA found on Gareth’s hand and thought to be key to the inquiry has now been confirmed as belonging to a forensic scientist. An error at a forensic laboratory belonging to LGC Forensics had caused details about the sample to be incorrectly inputted into a computer leading police to think it could belong to a suspect. Little is known about Gareth’s work but he had been on two courses which meant he could be “operationally deployed”. Among the mourners at his funeral was MI6 chief Sir John Sawers who told the family that Gareth had done “really valuable work” in the “cause of national security”. We are unlikely to hear anymore about that work. The Government has ruled that evidence to the inquest about his work will be heard in secret. ITV Wales’ award-winning current affairs programme Wales This Week brought together a group of experts to review the available evidence. One point that struck our panel was the way in which Gareth’s reputation had been pulled apart by lurid headlines in the weeks following his death. Could someone have been feeding information and rumour which would smear Gareth’s name? If he was a national hero, as Sir John seemed to suggest, who could be behind the smear? Another issue likely to interest the coroner is the apparent eight-day delay in someone raising the alarm that Gareth was missing. Mr Goslett described this as “extraordinary” given Gareth’s work. Police went to the flat following a call from a personnel manager at GCHQ, who will give evidence to the inquest. Go here to read more and to watch a clip from Wales This Week.